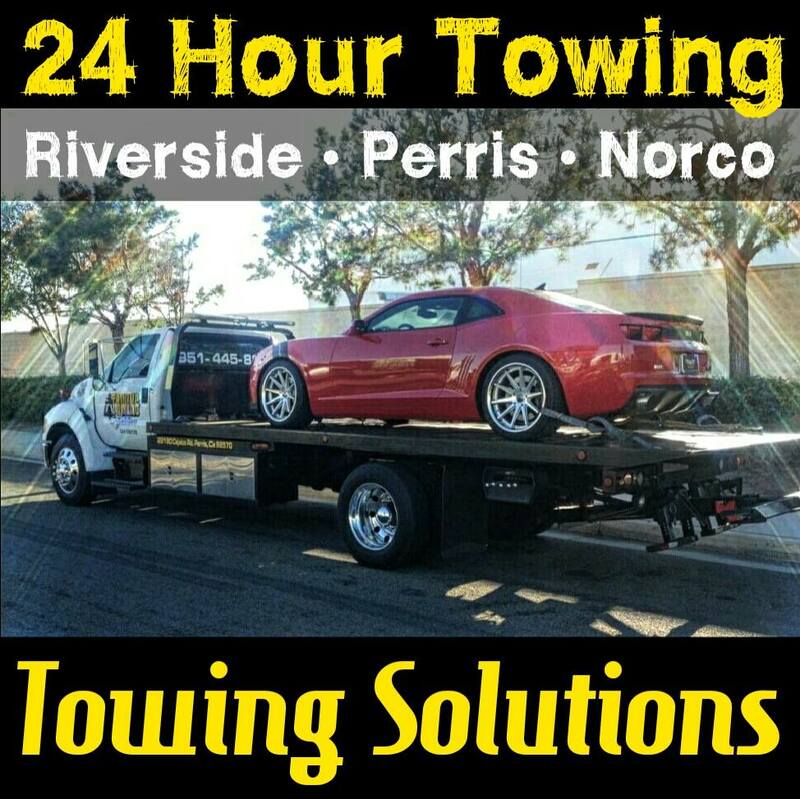 Towing Solutions is the most affordable 24 hour tow truck service in the Riverside, CA area. With over 10 successful years in the industry we have learned a thing or two about our customers. Time is valuable to us as well as our customers and that is why our drivers are always on standby and will arrive on scene in no time at all. We pride ourselves in providing great customer service, quick and dependable service at an affordable price so give us a call at anytime of the day or night. 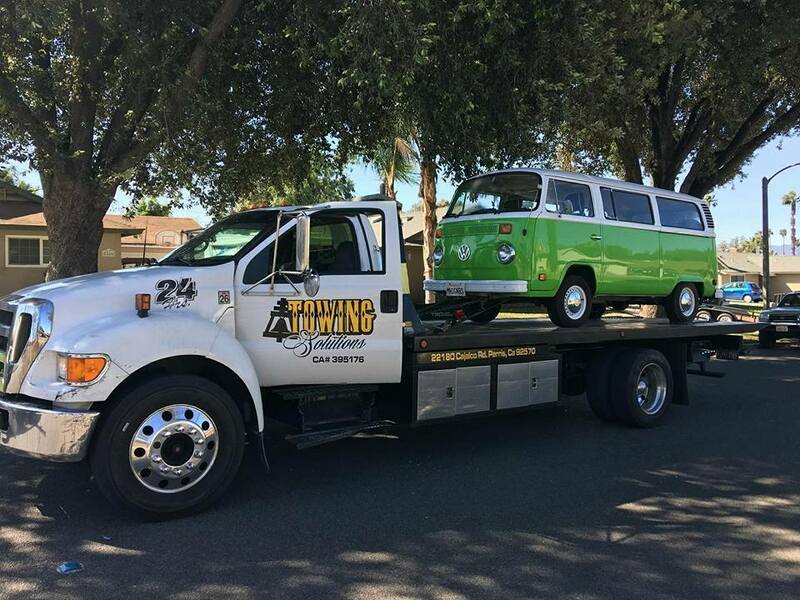 We are a local Riverside, CA tow truck company who is always looking to help our residents in need. Give us a call today, we are right down the street and can be there in no time. Being a 24 hour service means you can rest assured you will always get the help you need to get you back on your way. Towing Solutions is a family owned and operated company with over 10 years in the industry. 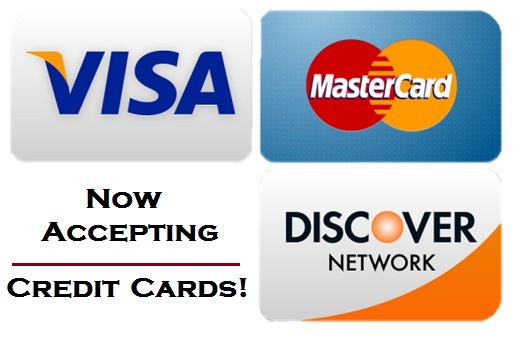 We are a small team dedicated to unbeatable service at the lowest price possible. Even though Towing us our specialty we can still help you if you have a dead battery or a flat tire. 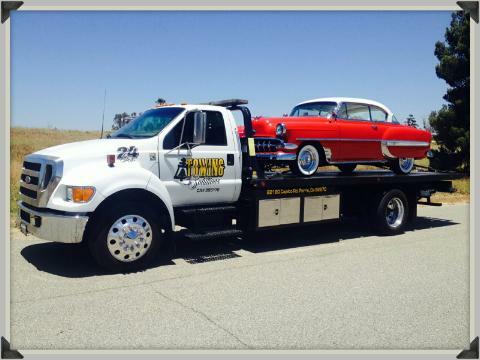 Our roadside assistance is top notch so don’t hesitate to give us a call at (951)445-8886.